In the previous chapter we discussed about "How to create a free blog on Blogspot" and now we are at the second chapter "How to make seo friendly post in Blogspot blog . We all know people or you always trying to get better results , Some thing like which is more understandable , Contain Image representation , Contain Headlines , Subheadings etc . For that Google customized their search engine algorithm with several factors . Through this article you will learn about the factors which need to use in your Blogspot blog for better Search Engine Optimization . When you make new Blogspot blog post try to select a better and attractive title for it . Example : how to make a blog - Not attractive . Example : How To Make a Blog - Attractive . When users searching on the internet , They click the best and attractive title , They don't click on the title which is looking boore . Try to use H1 H2 H3 Tags on your blogpost , It will also make your blog post more SEO friendly also your visitors loves your blog , Because a post contain H1 H2 H3 tags will be more attractive than without adding H1 H2 H3 tags . Google mainly focusing on backlinks of a site , If your site have lot of backlinks from different sites it will make your site more SEO friendly . Warning : Google hates backlinks from site's like Torrents sites and the sites which providing illegal copyrighted materials. Internal linking is the other factor which make your site extra SEO friendly , When you making a new post try to connect at least one link to your other post's , It will make you two benefits get lot of traffic to the page you linked with , Also it will make your site SEO friendly . When you inserting images to your blog post try to add the Title Tag and Image description for the image , Google Image search is depending the Alt tag and Image description for showing the results . You can learn more from the infographic that i added header of this post . Example : Look the image that i added below this text . The label you set for your blog post will just show like that i maked with blue color ink . With this label user who are searching in on the internet can easily identify the content of that page . You can set Label for your Blogspot blog by the following method that i showed in the image . Click on the "Labels" and add write the labels inside the text box using "," to separate each labels . 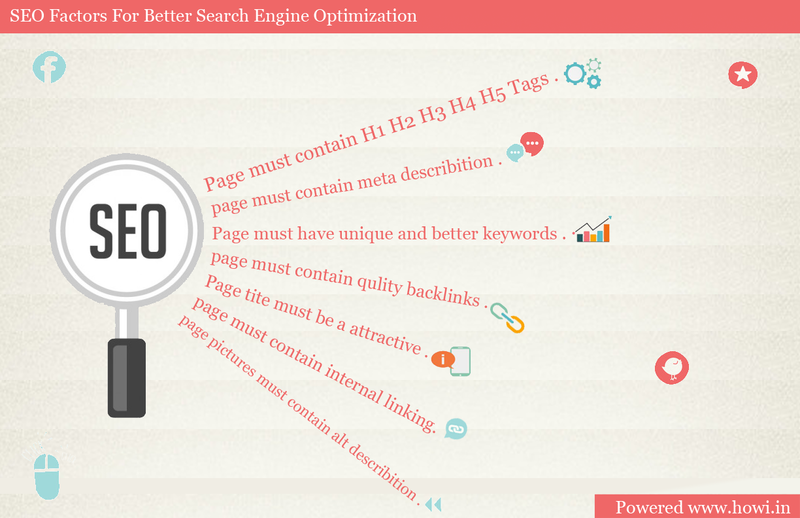 i hope you learned the basic factors to make a SEO friendly post on Blogspot blog . If you have any questions related to this post you can contact us by using the comment box . Chapter 3: How To Add Your Blogspot Blog On Google Webmaster Tools .